Leading UAE developer Falconcity of Wonders showcased its newest luxury hotel serviced and furnished apartments project, Saam Vega at this year’s Dubai Property Show held in the Indian city of Mumbai. Subsequent to its participation at this year’s Shanghai and London editions, Falconcity of Wonders, the developer of a multipurpose mega project being built in Dubai, made its presence felt at the event’s Indian edition. Unveiling the project, Falconcity said three pyramid structures will be developed by the company at the heart of Dubai and of this the small and medium pyramid will be under the management of Oakwood hotels international hoteliers. Saam Vega, the small pyramid and Saam Polaris, the medium pyramid, are both a lucrative investment opportunity for the discerning investors who see a high tourist influx due to Expo2020 being just around the corner. The three megastructures will include a total of 4,651 Luxury Hotel Serviced Apartments that will be available for sale to individual buyers with an option to either occupy or rent the unit into a voluntary rental pool that will also be managed by the world-renowned managing partner, Oakwood. It is expected that the majority of investors will acquire the asset with the intention to take part in the dynamic Dubai real estate landscape as it tends to yield a high ROI income. Together the three Pyramids will have a total of 2,185 studio apartments, 1,855 one-, 608 two- and 3 three-bedroom apartments. 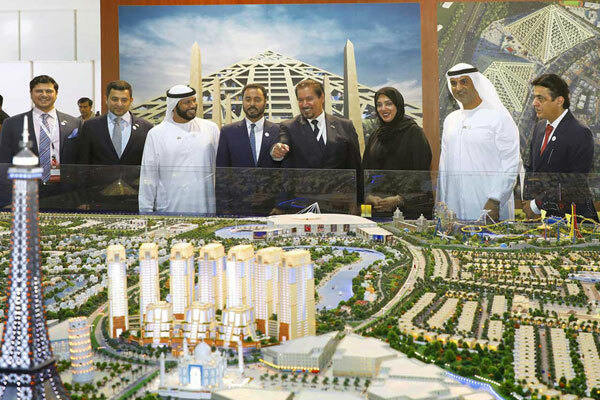 The participation came in line with Falconcity’s strategy to strengthen its current market position by expanding global footprint, and to capitalise on the promising opportunities presented by the growing interest of Indian investors in Dubai realty, said the developer. Being home to 2.6 million-strong Indian diaspora, the UAE is also the top-ranking destination for Indians who seek promising long-term real estate investment opportunities. Indian nationals accounted for more than 4,600 transactions worth Dh8.6 billion in the first nine months of this year to become the largest property investment segment in the UAE, according to the figures released by the Dubai Land Department (DLD). Confirming these statistics, Indians continue to remain among FCW’s top foreign investor groups and have been consistently showing great interest in the development’s unique ‘The World in a City’ theme. Responding to this growing demand from Indian buyers and investors, Falconcity showcased its luxury project, Saam Vega at the show. Salem Almoosa, the chairman and general manager, Falconcity of Wonders, said: "Indians have never shied away from investing in the emirate’s real estate sector, thanks to its strategic location, high investment and rental yields, capital appreciation and regulations, which are factors that make it an attractive proposition."